The prevalence of life-threatening heart attacks and strokes in our community are becoming an increasing concern. Forty years ago, nearly 40% of heart attack victims died from the disease. While advances in medicine have allowed us to reduce heart attack deaths to below 10%, the number of Americans suffering from heart attacks and strokes has not declined at all. Modern preventive medicine now gives us the opportunity to prevent these potentially fatal events all together. At the Prevention Center, this is our passion. We’re on a mission to make a difference in the lives of families in our community by preventing deadly cardiovascular disease, including heart attacks and strokes. 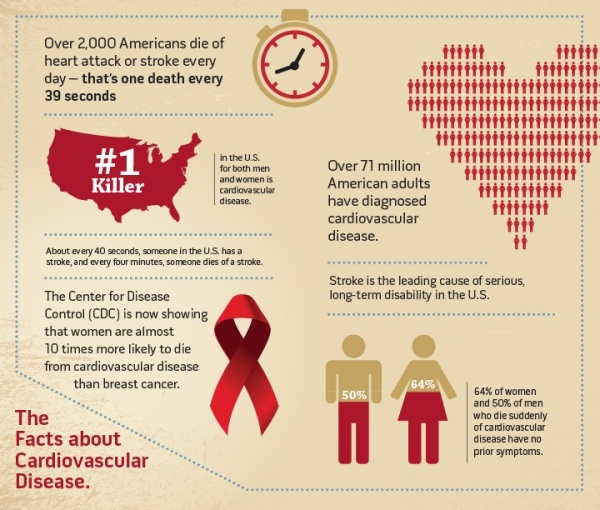 Cardiovascular disease remains the number one killer in America, claiming more lives each year than all types of cancer and accidents combined. Unfortunately, routine testing often does not uncover serious cardiovascular disease until it is too late.